Pro Tips for Avoiding Common Kitchen Injuries | KeyStaff Inc.
Falls, burns and cuts happen too often in the kitchen. Avoid these three common cafeteria and kitchen injuries with our pro tips. Slips and falls consistently end up at the top of annual workplace injury reports, especially for people who work in cafeterias or kitchens. Even when careful, it’s likely that water, oil or grease will spill, splatter or spray on the floor at some point. Wear non-slip shoes that use specialty rubber soles to improve friction with the floor even in slippery conditions. Clean up spills promptly in order to reduce risk. 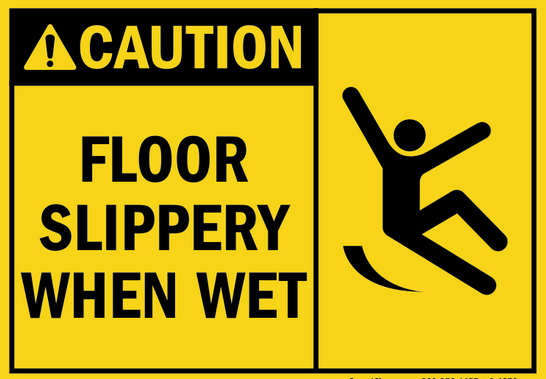 Use wet floor signs when there is water or other liquids on the floor. Burns are a serious danger for any cafeteria or kitchen worker. If you do get a minor burn, make sure to quickly run cool water over the injured area to stop the burning. Here are ways to avoid burn injury. Use proper hand protection for hot items. Stand away from steamy objects. Use proper utensils and do not overfill pots. Be careful when putting food or baskets in hot grease. Even the most experienced chefs can cuts themselves seriously in the kitchen. Practice precaution. Cut on a stabilized board away from the body and wait until food is completely thawed before cutting. Only use knives for their intended purposes.